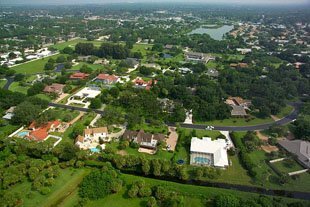 The Beneva Oaks is one community that can easily rank as a robust residential choice among Sarasota Fl real estate properties. 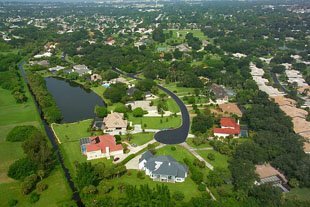 There are two sections in this community, any of which can meet the specific needs or preferences of discerning searchers of Sarasota homes for sale. What’s even more, this neighborhood enjoys a strategic location at the eastern right of way of Beneva Road, an area that is also close to Clark Road, the Tamiami Trail, and Interstate 75, major thoroughfares that enable easy access to the various attractions in southwestern Florida. Both subdivisions in this property are gated and maintenance-free, and the developer rights have been transferred to the homeowners’ association. Deed restrictions and covenants empower the association to set and maintain standards for property appearance and maintenance. With this set up, the grounds and landscaping of Beneva Oaks have been superbly maintained. One of the two subdivisions in the property is an established, older section. The home sites here are relatively larger, with many coming in acre-sized lots. The residences in this section were constructed during the 1980s. The newer of the twins in Beneva Oaks is Woodbirch Place where the home lots are relatively smaller. Most of the homes here were built in year 2000. This community is exclusively composed of single family homes. A three-bedroom residence here with two baths and a half and a total floor area of about 2,400 square feet can be offered at a starting price around the low-$400s. 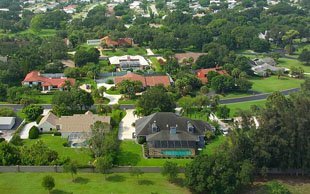 The prime property in Beneva Oaks among Sarasota homes for sale can be a residence on a three-fourth-acre corner lot with four bedrooms and four baths and half, carrying a tag price near the $1.5 million mark. In-between this price range, the choice can come in a three-bedroom home having a floor plan totaling 4,000 square feet with a quoted price near the $1.1 million level. A friendly spirit prevails in this community which holds know-your-neighbor socials. In addition to this cordial atmosphere that makes Beneva Oaks a pleasant place to live in, the neighborhood is also conveniently located near schools, shopping centers, and venues for recreation and entertainment. Near the residences, for instance, are Gulf Gate Elementary, Ashton Elementary, and Imagine Day School at Palmer Ranch along with several Publix supermarkets. A short five-minute drive south of the community via Beneva Road also leads to the Westfield Sarasota Square Mall which has over a hundred shops. The Potter Park Family YMCA is also based in this area. Similarly, Clark Road can easily provide access to the white sands of Siesta Key. As convenient, the Tamiami which intersects Clark Road can open the delights of downtown Sarasota in a northward fifteen-minute trip. Below are all of the current real estate listings available for sale at Beneva Oaks.